If there's one word to describe the first tri. movie, it's deliberate. This is a very carefully orchestrated work. It's a movie where every decision feels intentional and carefully planned. Words have meaning, expressions have meaning, even scenes that don't seem to accomplish much may end up worth scrutiny. As evidenced by the opening narration and the shocking cutaways early on, much of what we're seeing now won't see a payoff until later. The downside of being deliberate is that the steps are slow, careful, and not always the most exciting to watch. Coming off the equivalent of Tagiru running full sprint between setpieces, this is an old man hobbling along on his geta. It's more respectable and more noble, and we should trust that he's going somewhere interesting. But it's telling that only three things actually happen in the first twenty minutes: Kuwagamon's here, the Zero Two kids aren't, and someone's tracking both of these. The situation with the Zero Two kids is the first thing that jumps out at everybody, resolving a major dilemma the movie faces by introducing an equally significant one. This is a movie celebrating eight kids in a world that was last seen featuring twelve. Trying to keep all of them in the story would be impossible; establishing these eight was chore enough already. Showing a colossal defeat right from the start both takes the spares out of the picture and is probably the most dramatic sight in the whole movie. Which is a problem when we're supposed to be caring about nobody going to Taichi's soccer game. The Zero Two kids are an absent presence the whole movie as we wonder why nobody misses them even though Maki's clearly shown keeping tabs on them (not particularly successfully). All that aside, the first fourth of the movie drills us with scenes of character notes both major and minor, swooping at us like... well, given the movie's pace they flutter past us like butterflies. But there are a lot of butterflies to sift through. The general theme is that they point to a degree of discontentment among almost all of the kids. You've got Taichi and Yamato desperate to rally the others to their conflicting events, Joe failing his classes, Sora and Koushiro trying way too hard over trivial social matters... even Mimi can't be all that thrilled with her life if she jumps on a flight to Tokyo on a whim. Sorting out Hikari is difficult (her scene with Takeru has wheels within wheels of minutia... including a literal wheel), but she's concerned enough about her big brother to not mention what she saw earlier that day. Really, Takeru's the only one who still has that twinkle in his eye. Not surprising, really. Appropriately, this is Taichi's movie and his inability to face the future looms large. 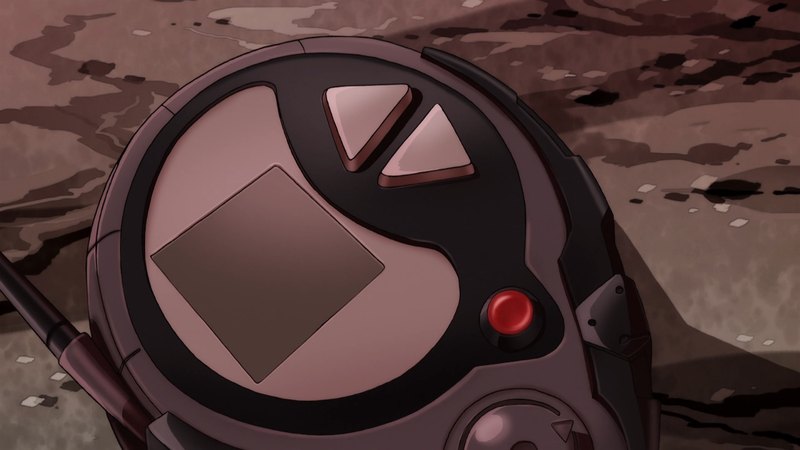 You can see him longing for a simpler time when he had his consequence-free adventures with the Digimon, when all of his fellow digidestined were there for him at the drop of a hat, and when his soccer buddies weren't eying his sister. Note that we never saw a time when any of these were the case, but nostalgia can hit the characters as much as it can hit us. We also see him trying to avoid conflict with his friends, first avoiding Yamato and Sora having what appeared to be a moment, then only inviting Sora to a soccer game he knew she couldn't attend as a last ditch effort. Sora freaks out trying to support both of them to the point where she takes a glitching clock as a good sign, as if it will somehow clone her. Wouldn't be the first time for her. There's enough to take out of part one, but getting nothing but oodles of dialogue and cute character moments peppered by the occasional silent shot of Kuwagamon's manifestation or people having reception problems wears you down. Lengthy establishing shots everywhere and time-wasters like Koushiro's Travelocity commercial make you eager for something, anything to happen just to prove that at least some of these scenes have a point. Until then, you just have to cross your fingers and hope seasoning ramen with the right amount of pepper will turn out to be some deep metaphor. The famous post-Adventure picture of the whole gang is glared out whenever we see it. If Savers (and other anime featuring hotheads with missing fathers) is any indicator, that suggests there's important information on it we're not supposed to know yet. 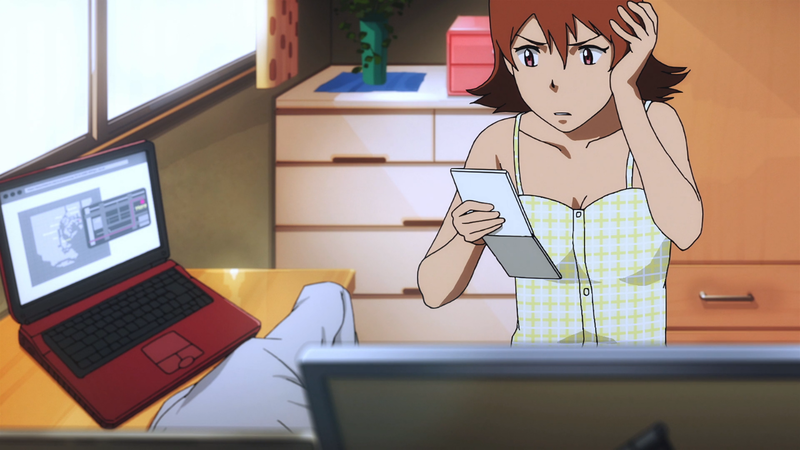 Early scenes leave no doubt that Meicoomon has some connection to the disruptions, which is going to be bad news for Meiko down the road. I can appreciate keeping personal affairs out of the public eye, but only suggesting Yamato and Sora's relationship through subtle contextual clues is a little weak. Those clues are enough to assume they are still dating, but judging from the post-credits shot of part four the dynamic between them and Taichi will remain a significant part in this series. Yamato and Sora being a couple is vital to understanding that dynamic. Even if they wanted to avoid the obvious gestures, there are ways to make it overt and the movie should have utilized them. Nice little nod to Our War Game in Hikari being unable to attend Taichi's game due to a birthday party. 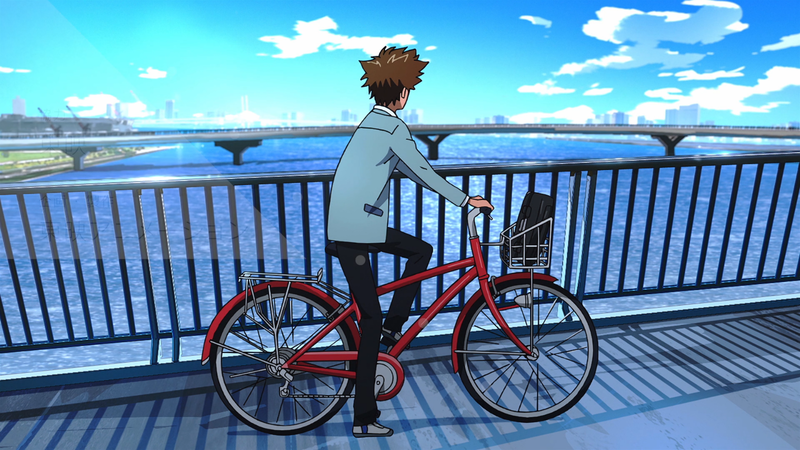 Also, as much as we'll make of Taichi not telling Hikari about the Kuwagamon attack later, she doesn't tell him what she saw walking home. To give you an idea how much things have settled down in Odaiba, Sora insists that interrupting Koushiro's dinner with his parents is an emergency. We never actually find out what she wanted to talk to him about, but it's probably not her clock. I think the reason they blurred out the photo was to hide the change in art style. This is also why they showed the flashback of Taichi and Yamato from behind. Yeah, that's what I thought too. It already looked out of place from the little you could see of it, so it'd be even more glaring if they showed the photo up-front. Of course, it could be a clever thing to make you /think/ it's for that reason, but who knows. On the one hand, good work on not letting nostalgia influence your assessment of this episode. On the other hand though, are you awarding points for the technical aspects of the production, namely the art style? Just curious. "Really, Takeru's the only one who still has that twinkle in his eye." Oh-ho-HO, just wait until movie #3.
yeah movie #3 really wrecks things. ugh.